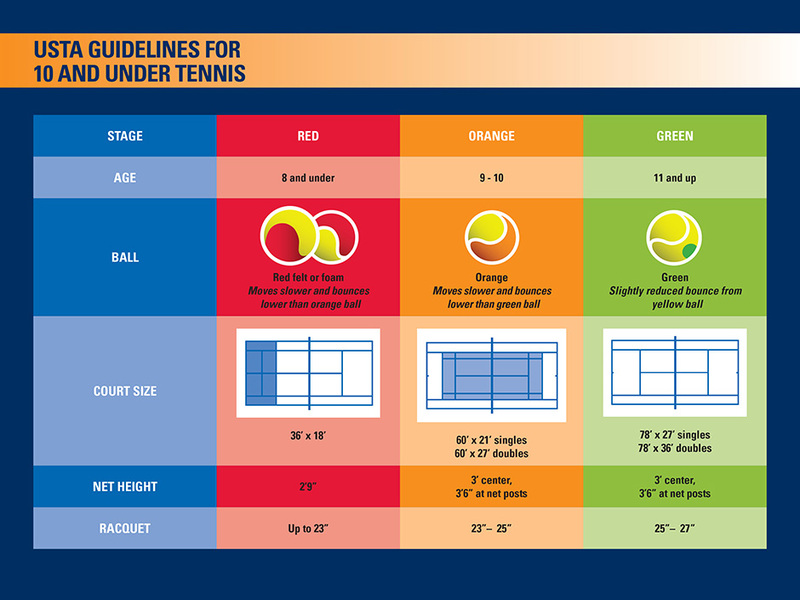 USTA JTT now includes 10 & Under Tennis — tennis scaled – down for the physical size & capabilities of kids (ages 5 – 10). Modifications in court size & equipment help your child develop better technical & tactical skills. More importantly, kids can start having fun right away. It’s Easier Than Ever to get Your Child in the Game! • Balls are low – compression, giving kids extra time to react & hit the ball. • Racquets are sized for small hands, making them easier to grip & swing. 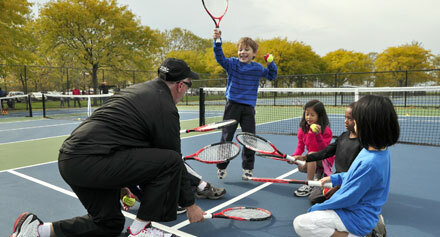 • Court dimensions are smaller, allowing kids to experience match play more quickly. 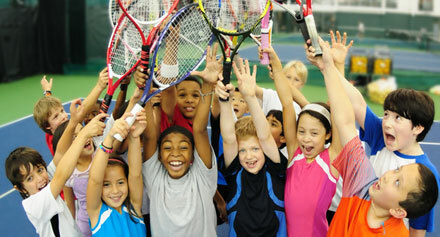 Net Generation is a new support system for the USTA’s youth brand. It’s designed to connect players, parents & providers (coaches, organizers, etc.) with tools to build positive programs. An important component of this system is the “Safe Play” program & background check of registered users to ensure a safe environment for all kids. Please click here for information on Net Generation & how to complete the Safe Play program. Junior Team Tennis is a United States Tennis Association (USTA) program & all players must be registered members of the USTA (and have a USTA player number) before they can register for a local team. An annual junior membership costs $20. Kids 10 & under who are registering with the USTA for the first time can receive a FREE 1 – year junior membership. Consult the chart below for details on how the equipment changes as the kids get older. Parent commitment is an important element of a successful Junior Team Tennis program at all levels of play. Parents are needed to assist as “Team Managers,” and in many situations, parents may serve as coaches. Parent involvement for the 10 U Recreational/Intermediate divisions is quite different than every other level of play in the JTT program. In these divisions, parents are needed to assist on court during match play. One parent should be assigned to stand at the net to assist on each court. Preferably, the assigned parent’s child is not playing on the court that the parent is monitoring. Please familiarize yourself with match formats. assist with scoring; however, players should be prompted to use the visual scoring devices and to announce the score before each point & each new game. help players who have lost track of the service order, the change from deuce to add side, or the change of ends. 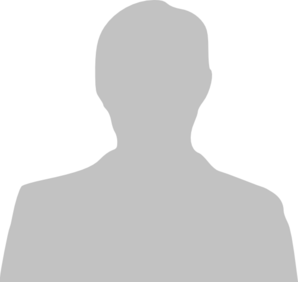 assist with line calls when players appear to need help. applaud good shots made by all players. Parents, rather than tennis pros, should serve as Coaches / Managers for team matches. Parents may also organize a snack schedule for weekly matches, as well as an end – of -season team party. For specific local league match play guidelines click here.